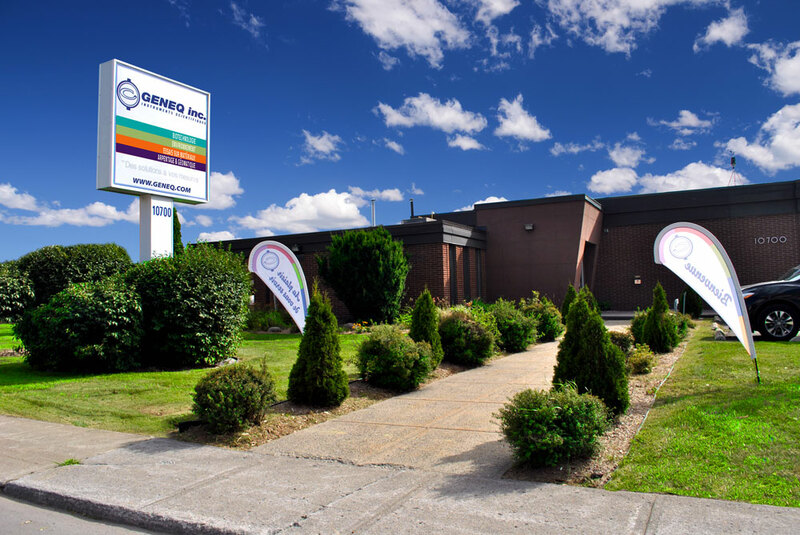 GENEQ inc. was founded in 1972 by its current President, Mr. Maurice Parisé. In its early days, in the basement of the family home, the company was named GENIE Equipment and sold test instruments for soil, concrete, and asphalt. The company moved to St. Hubert Street (Montreal) a few years later, and added measuring, analytical and sampling instruments for water and air, as well as weather and gauging stations to its product portfolio. In 1976, the company changed its name to GENEQ inc., in compliance with a regulation by the Ordre des ingénieurs du Québec. This new shorter and more universal name gave wings to GENEQ. In the early 1990s, the company moved to its current location in Anjou, in Montreal’s east end, and added a GPS line to its product offering.Our team is made up of thirty employees. We also have a service department where three technicians are available to repair and calibrate the majority of instruments we sell, either on site or in our own shop. The year 2000 saw the addition of a new division to our group, Biotechnology, which sells laboratory equipment used for medical research, science teaching, and food & beverage quality control. Our five divisions are made up of a team of experienced sales representatives who possess the technical and professional qualifications required to advise and serve the clients who have contributed to our company’s success and influence for over 35 years. Our business and our sales are growing in direct response to our drive, our clients’ support, our commitment to provide state-of-the-art products and to offer the best price-quality ratio. GENEQ also differentiates itself from its competition through its vast selection of products covering a wide range of activities, as well as its top-of-the-line inventory management. Today, GENEQ’s products are sold mainly on the Quebec and Canadian markets, but also in the United States and worldwide. This higher profile was brought by our Internet site which contains several thousands of products and can easily be found and accessed anywhere in the world.